The Temple of Lord Narsinhji is located near Madan Mohanji ni Pol. The idol of Lord Narsinhji were installed in Haveli before 275 Years ago. 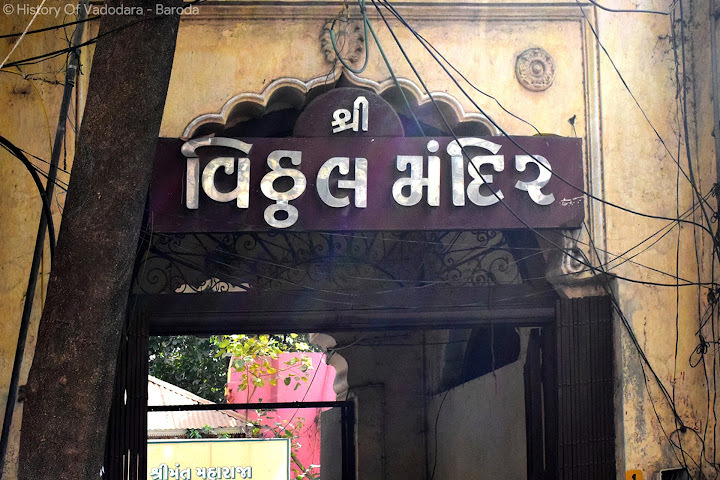 It is said to be the Haveli is older than that and was originally called as Vanik ni Pol, which was later renamed to Madan Mohanji ni Pol, given a name after a temple. 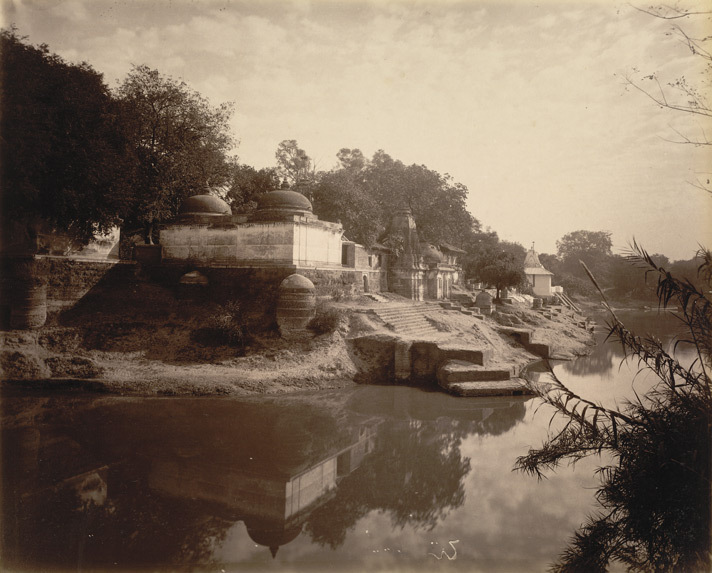 After many Years, a temple of Lord Narsinhji was built here. So again the Pol was renamed as Narsinhji ni Pol. Narsinhji Temple located near the lamp tower itself is a haveli-style structure that is amongst the rare surviving havelis in the city. While the exact date of the construction of the home and who owned it before Lord Narsinhji was installed there are not known, it is certain that the structure is over 275 years old. 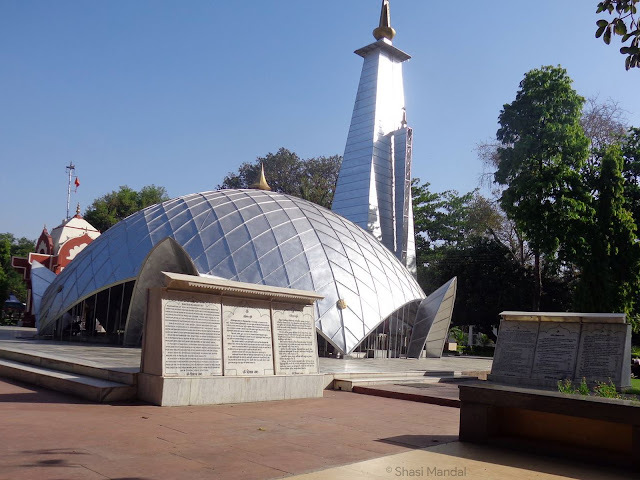 One gets a fair indication of this as it is known among devotees and caretakers at the temple that around Vikram Samvat 1794, Narsinhji was brought here. As per the Gregorian calendar this period would be around 1737 AD. It is said that Maharaja Anandrao Gaekwad arranged some expenses of temple like Ghee Lamp, which was total of Fund of Rs 1550 Per Year. There is also a Big and Beautiful DeepMala (lamp tower) which is used to light lamps. The lamp tower was constructed in the Year 1860 by the then ruler of Baroda State Maharaja Khanderao Gaekwad. It is said that the members of the royal Gaekwad family who used to have dinner only after having a Darshan of the lamp lit at the top of the lamp post every day, which was seen from SarkarWada (The Maharaja’s Palace). 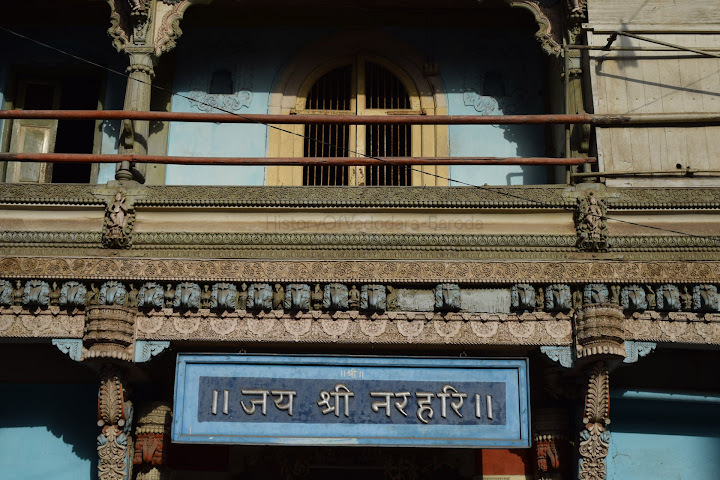 Also there is a small story related to Temple with Maharaja Sayajirao Gaekwad. The Maharaja prayed to Narsinhji when his Ship had to battle a storm in deep sea. After the Battle fight, when Maharaja returned, he firstly ran to Temple before entering to Palace. Also the Narsinhji Procession is celebrated in much enthusiasm in Baroda’s Old Walled City.